The certificates were awarded by Mr. Hüseyin Eren, Deputy Secretary General of the Municipality of Istanbul, Mr. Mehmet Fatih Serenli, Director of Training and Technical Cooperation Department at SESRIC, and Mrs. Ferrah Şarman, Director of Human Resources and Training at Istanbul Metropolitan Municipality. 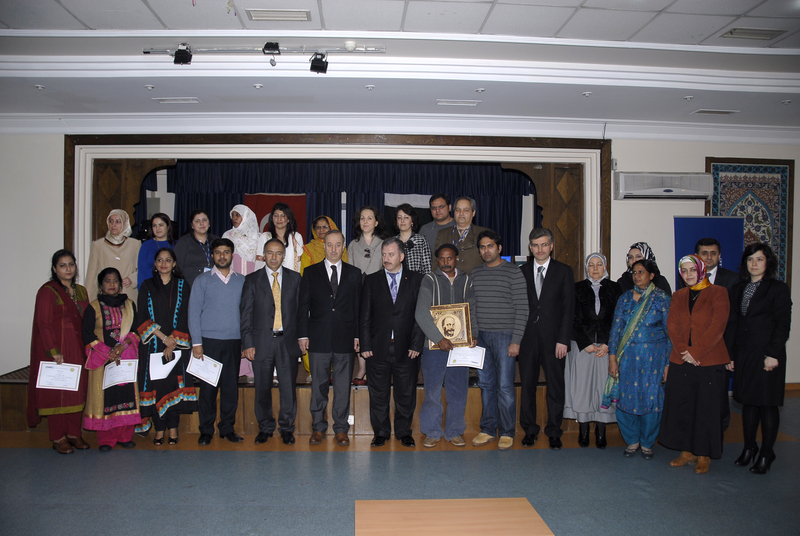 Being the first training project under the İSMEK Master Trainer Programme, Pakistani Master Trainers received training during the period 21 March and 1 April 2011, at a number of İSMEK training centres in İstanbul. Ten trainers from related vocational institutions in Pakistan have attended to courses on “Child Raising and Education”, “Wood Shaping”, “Needle Lace”, “Sewing Women Clothes” and “Machine Embroidery” in the format of training of trainers. The ten-day training programme was hosted by the Centre for Art and Vocational Training Courses of İstanbul Metropolitan Municipality (İSMEK) and included visits to kindergartens as part of course activities, as well as various cultural tours to historical places of İstanbul. Participants had also the opportunity to attend the famous İSMEK Fashion Show where clothes designed by İSMEK trainers were exhibited at Sütlüce Convention Centre. For more information on İMTP, please visit http://www.oicvet.org/.